Today, many customers check out your website before they even give you a call. Make sure it tells your story and is something you are proud to display. Your website is an important brand asset that needs constant change and attention to keep your customers engaged. Whether you need a single landing page or an extensive eCommerce website, our proven process keeps all our clients engaged at key milestones. 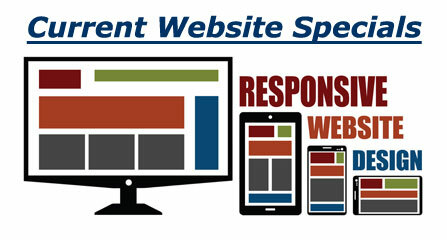 This assures your website is published to your specifications and delivered within your time frame and budget. Some of our website clients include private practice professionals such as dentists and veterinarians, medical device companies, real estate and insurance agents, fine arts professionals, food services companies and non-profit organizations. We would love to design a website just for you. Though we build html and Bootstrap websites, most of our customers choose WordPress, the content management system powering 1 in 5 of all websites, giving you the control, flexibility and peace of mind of the most widely used, supported and implemented platform on the web. Choose one of our Sagemont themes or any of the thousands of third-party themes available! Don’t risk your website content with a proprietary content management system! With WordPress managing your content, you gain access to millions of tools, books and plugins. And you probably already know friends, volunteers and employees who are familiar with WordPress so getting new things accomplished on your website has never been easier! But, if you are new to WordPress, the initial setup and database build can be quite frustrating … so let us do the heavy lifting for you. Our website design process always begins by listening! We are interested to learn about your business and understand your project goals and budget. Schedule a Free no pressure/no obligation consultation today.